How can I add freehand red circles to a ggplot2 graph? 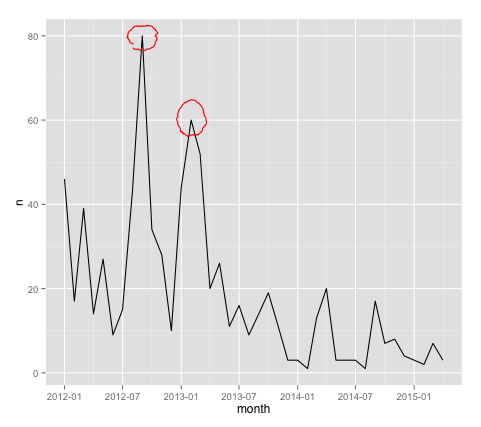 Freehand red circles are of course necessary in any plot on Meta Stack Overflow, but to my dismay I could not find a way to add them to a ggplot2 graph. I know how to add a circle, but such an artificial construct has no personality and would never pass muster on Meta. This plot is informative enough, but it has no soul. How can I add freehand red circles to it? You can use my ggfreehand package, which provides the geom_freehand layer that was so carelessly omitted from ggplot2. And just like that, the plot is now worthy of being posted on Meta Stack Overflow. The geom_freehand layer takes additional options to customize the circle, including radius and noisiness. You could also make the circle not red, as though that were something you would ever want to do. Not the answer you're looking for? Browse other questions tagged r ggplot2 or ask your own question. 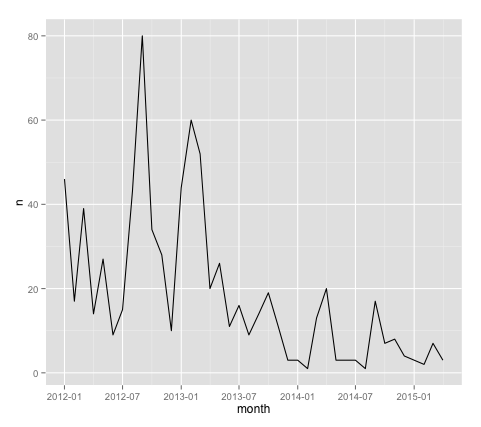 How to set limits for axes in ggplot2 R plots? 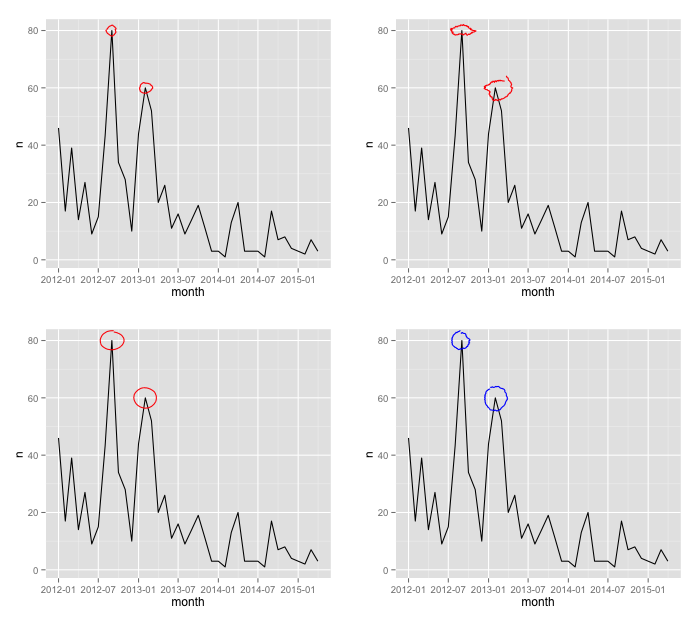 How to assign colors to categorical variables in ggplot2 that have stable mapping? How can I handle R CMD check “no visible binding for global variable” notes when my ggplot2 syntax is sensible? How can we make xkcd style graphs?